Are politics local? Why? Where? When? How do we measure local versus national politics? And what are the effects? This book provides answers to these questions, within an explicitly comparative framework, including both advanced and developing democracies. It does so by using a statistically-based and graphical account of party nationalization, providing methodology and data for legislative elections covering scores of parties across dozens of countries. 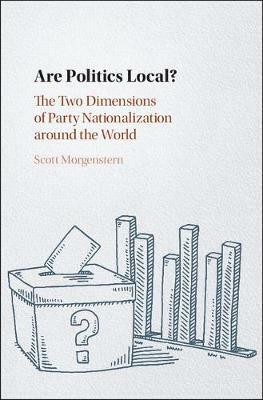 The book divides party nationalization into two dimensions - static and dynamic - to capture different aspects of localism, both with important implications for representation. Static nationalization measures the consistency in a party's support across the country and thus shows whether parties are able to encompass local concerns into their platforms. Dynamic nationalization, in turn, measures the consistency among the districts in over-time change in electoral results, under the presumption that where districts differ in their electoral responses, local factors must drive politics. Each of the two dimensions, in sum, considers representation from the perspective of the mix of national versus local politics.